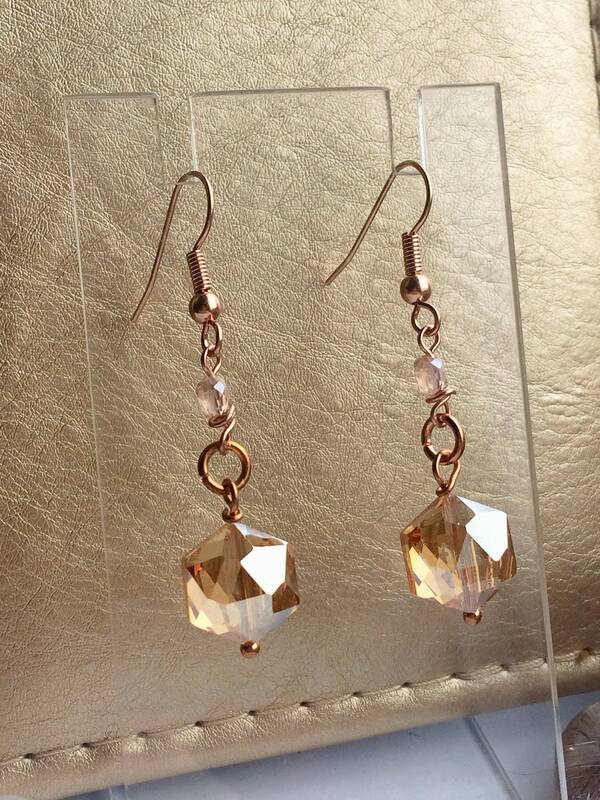 A very pretty pair of sparkling earrings perfect for a elegant wedding day or party look. 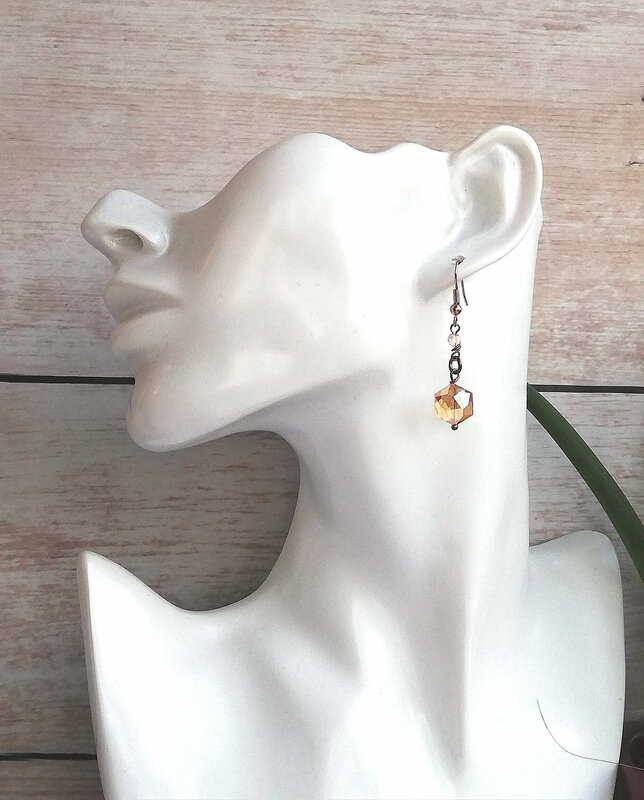 The total drop length is 3cm. 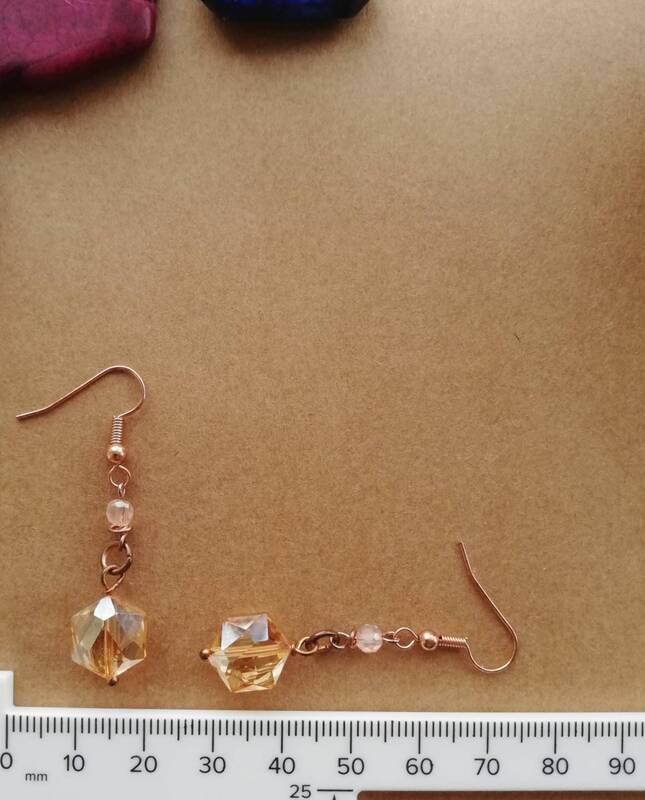 These earrings have a rose gold ear wire (18mm) with a spectacular focal crystal in iridescent peach and pink. 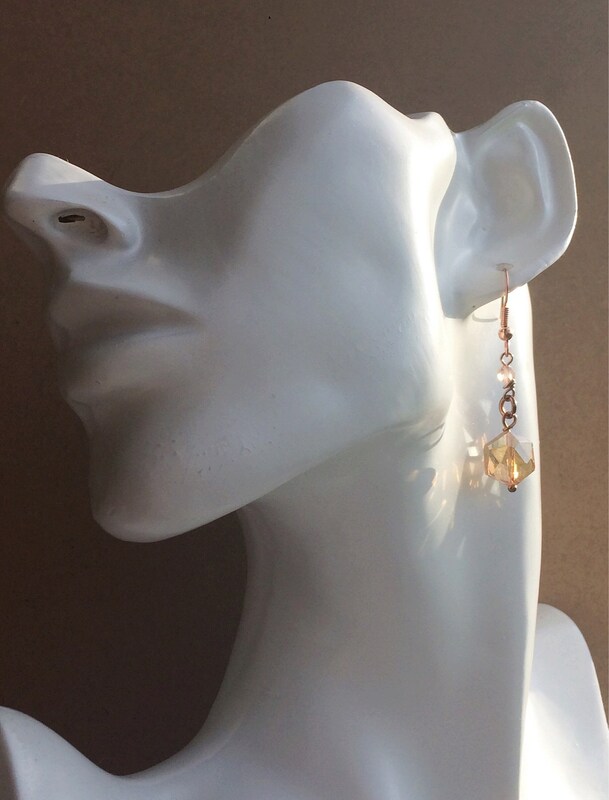 This is a faceted hexagon shape and the many sides means this sparkles wonderfully in the light with movement. 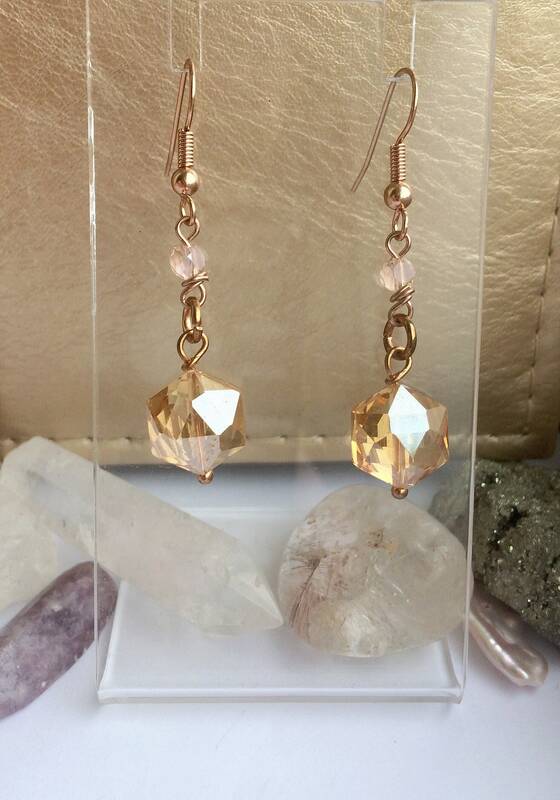 It is paired with a smaller 4mm pastel pink pressed glass bead also faceted for eye catching sparkles. 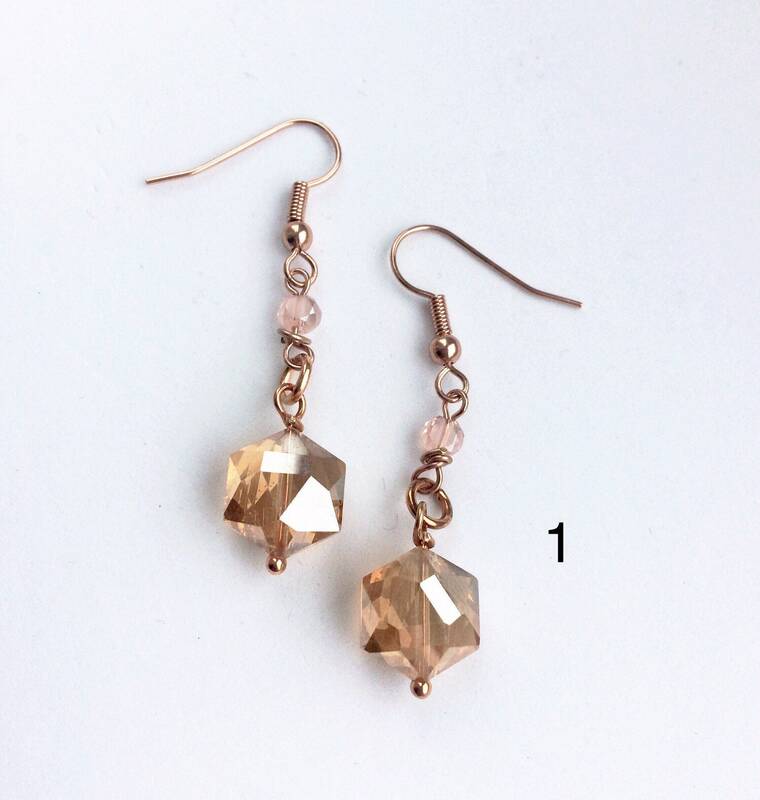 It is a delicate pretty design in shades of pink, copper and peach. 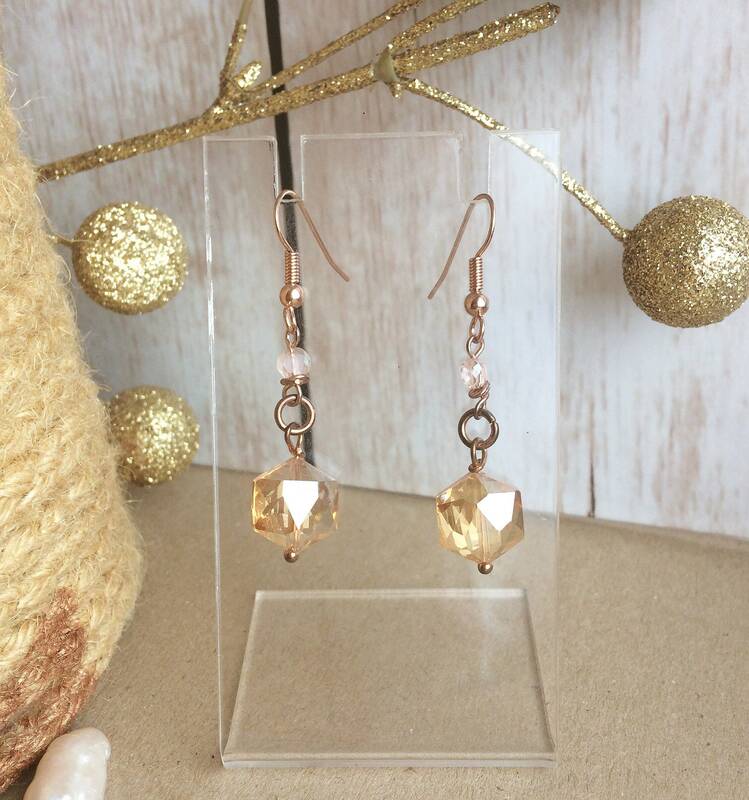 I made these as part of my bridal range and think they would make a great addition to a special day.